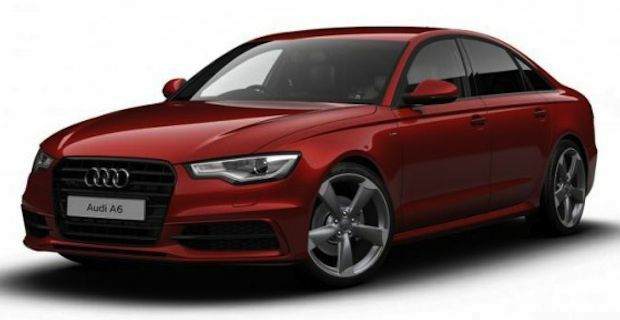 Audi has announced the launch of the new Black Edition versions of its Audi A6 saloon, A6 Avant and Audi A7 Sportback. The new variants are based on the top of the range S-Line technology and equipment trim, and brings a list of new features to the three models. Externally the vehicles sport titanium rotor design alloy wheels measuring 20-inch for the A6 model and 21-inch for the A7 Sportback, new lowered sports suspension, black finish for the front grille, the window frame strips and the number plate surrounds. All models feature tinted privacy windows, while black roof rails are exclusively for the A6 Avant. The interior of Audi Black Edition models features black Valcona leather sports seats and is enriched with piano black inlays and few high-tech details not included on the S-line, such as DAB digital radio, BOSE surround sound system, Audi Music Interface for smartphones and i-Pod connections. Black Edition equipment upgrade is available with most of Audi A6 engines with front-wheel and all-wheel drive, with the exclusion of Audi S6 V8 and on all A7 Sportback units, except the 3.0-litre TDI with output of 240 hp. Audi Black Edition models are available in the UK only and can be currently ordered with prices starting from £35,010 for the A6 saloon, £36,970 for the A6 Avant, and £50,575 for the A7 Sportback. The cars will be delivered at the beginning of 2013.